An open letter to all delegates committed to Hillary Clinton in 2016. 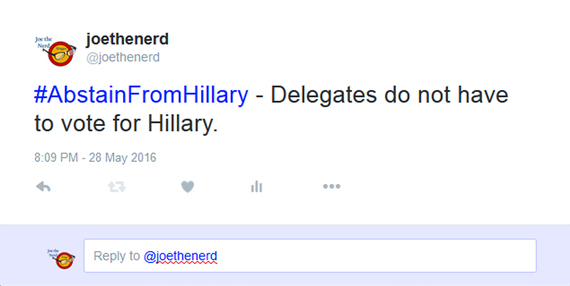 You are to be congratulated on making the grade and becoming a delegate for Hillary Clinton. You got the signatures, you raised the cash, you have passed all the requirements to get to Philly. I know you are excited for your candidate. I am sure you have had many one-on-one personal contacts with her as you have watched her rise through the years. If you were with her in 2008, you may feel that she checked all the boxes and has the resume to make it to the White House. You feel like this is owed to her and you with fight with everything you have to win this for her – and by extension win it for you. When the campaign started months ago there were limited opportunities to debate one of the most critical issues of the campaign. Bernie Sanders famously and clearly stated he didn’t give a damn about Hillary’s emails. That was back on October 13, 2015. He was right to say it then because the issue was only 6 months old with the State Department and FBI still trying to sort the whole thing out. It is now summer of 2016. The email server issue broke in March of 2015. It took 14 months for the Inspector General to issue a report clearly stating she broke the rules. You have cover now to do the right thing for the Party and the country. You will have immense pressure brought to bear upon you by people who will insist that you must remain loyal to the Clinton Campaign. You have to fight that pressure. 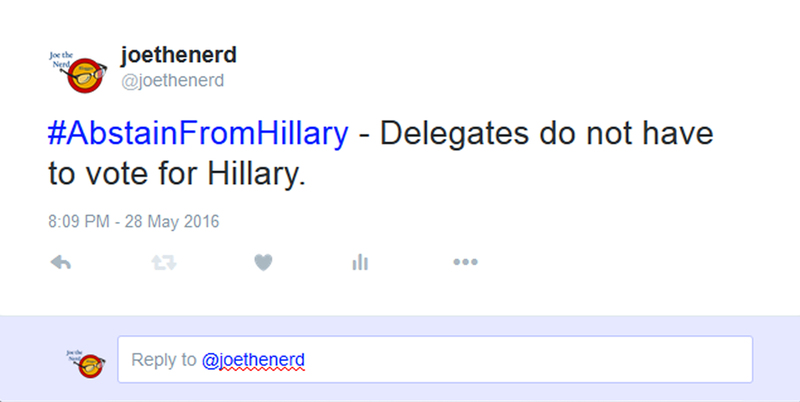 You do not have to cast a vote for her at the convention in Philadelphia. The argument that Hillary can beat Trump is vanishing. You can abstain from Hillary. She blew her turn when she set up the email servers for whatever of the myriad of reasons or excuses you want to pin on her. Fact is, she did it. Karl Rove and the vast RW conspiracy did not do this. She did it to herself. She broke the rules and people are getting in trouble in her wake. The GOP is not stupid. They got the goods. They are already telling the world they got the goods and are going to use them on her. It is being timed to perfection. It will get ugly. You can stop this at the convention. Your loyalty to Hillary cannot be questioned, but you allow the torch to be passed to a new generation by saying nothing. If you were elected as delegate BEFORE the Inspector General’s Report you can say you withheld judgment until further information has become available. With a clear mind you can abstain. There are no scandals – real or made up – that can reasonably be pinned on Bernie Sanders when compared to either Trump or Hillary. We can beat Trump with Bernie. I am sorry, but Hillary as a nominee will produce a President Trump. You need to #AbstainFromHillary . This may be one of the few times Democrats can believe Abstinence can yield a desired result.